All accessories from one sourceParts that are manufactured by different companies may not fit together because of ther size or shape. Therefore the overall outcome could be aesthetically caotic. If different manufacturers use the same hooking points the installation may not work also. That is why we have made it our mission to offer many exterior protection possibilities. 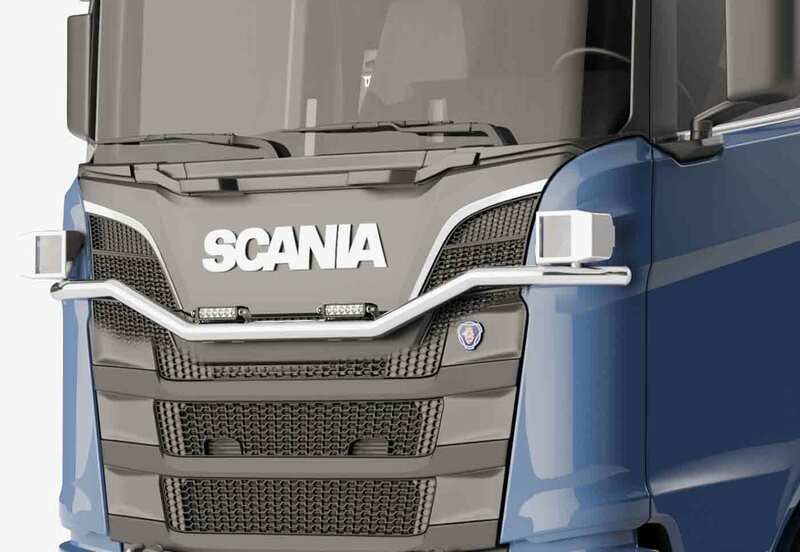 The aesthetical outcome also countsThe suitability of our accessories’ signature Scandinavian minimalism for your vehicle will be eye-catching and will help you find new clients. Employees will also carry out their work faster and more efficiently if they can work with tools that give them aesthetic pleasure. 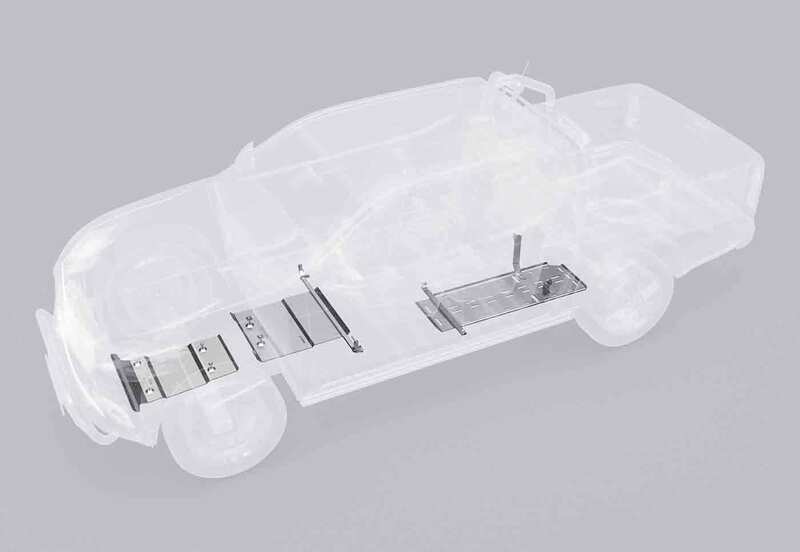 The products are securely attached to the vehicle; they can withstand vibrations and smaller collisions. 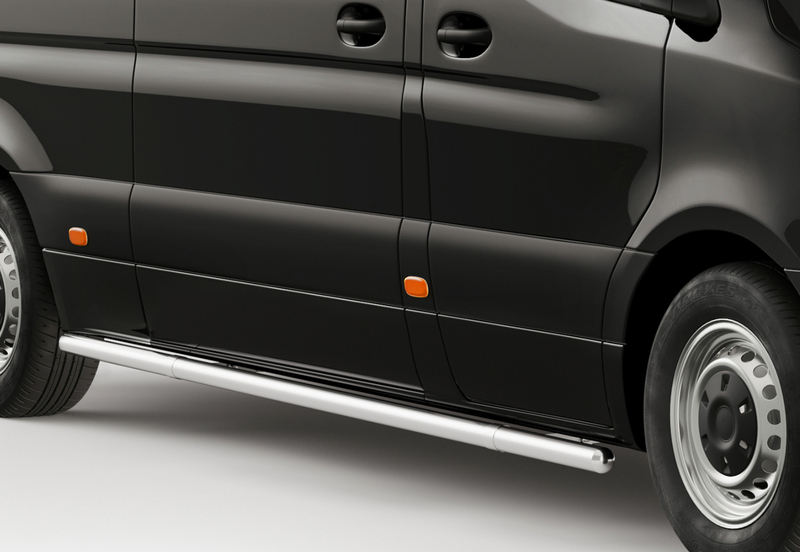 Products are precision-manufactured, which ensures their perfect fit for your vehicle. All products are provided with model-based mounting kits and easy-to-understand installation instructions. There is no need to make new openings in your vehicle’s original parts or change them in any other way. Installation requires only basic tools. 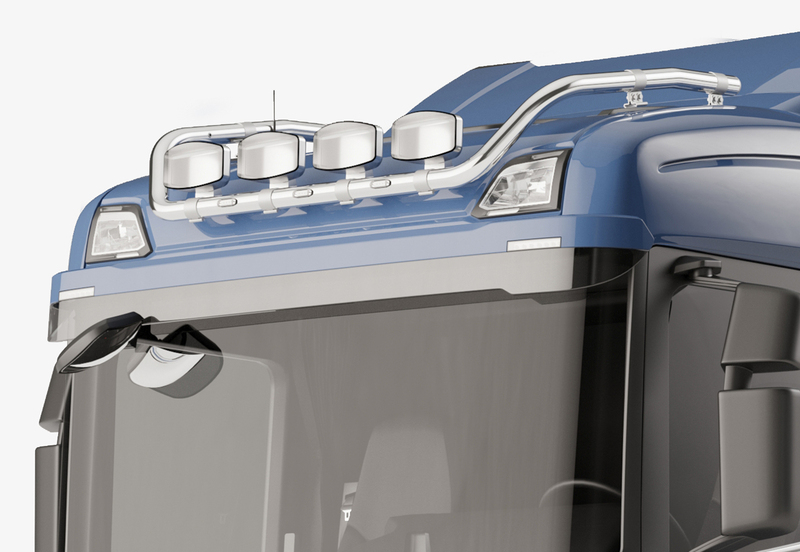 Visible and invisible product parts are as corrosion-resistant as the vehicle itself. The stainless steel alloy contains chrome and nickel—this does not peel off and it is possible to restore the product’s original gloss. Warranty up to 6 years. With various universal adapters, it is possible to attach a range of additional lighting solution or other parts that need stable mounting to the products. Products are available in a range of surface finishes. 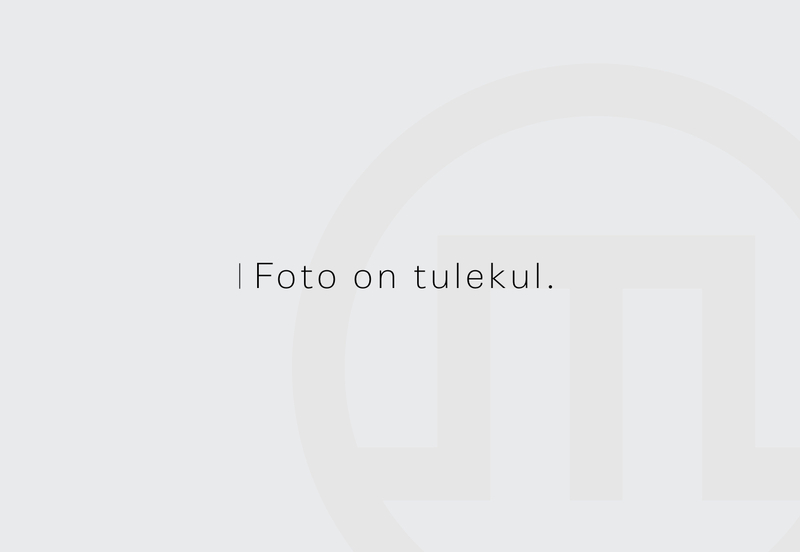 Products are developed according to EU regulations. Products are tested in independent laboratories and have certificates of compliance. Metec products are designed in such a way that parts with a larger risk of damage or wear can be replaced individually. This does not only apply to areas near the Arctic circle, where drivers have to work for half a year in pitch darkness. Instances of mist, rain, or snow that worsen visibility are familiar to those behind the wheel in many countries. Even those drivers in sunny southern states that do not travel to countries with worse driving conditions would not say that they believe extra light to be unnecessary—the roads and motorways in densely populated areas are simply so busy during daylight hours that drivers may feel they lack a choice and are forced to drive in the evening or at night. And some work just needs to be done at night or “despite the time,” whenever it is needed. Metec develops and produces solutions for the quick and stable installation of additional lighting on your vehicle for various purposes. Made from stainless pipe profiles meeting strength requirements fo the stable installation of the lamps. Installation is done based on the model—no need to drill or weld; ordinary tools are enough for installation. Typically, lamps are attached to the roof for long-distance or work vehicles. Depending on the chosen type of lamp, it is possible to install 1-8 additional light sources. 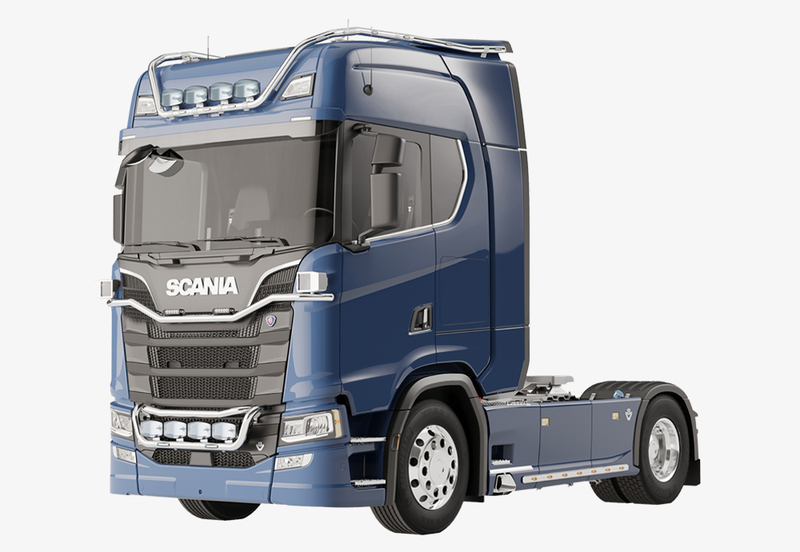 It is also possible to install flashing or other additional elements, such as horns, advertising plates etc. These products are suitable for use in road maintenance and roadwork machines that need good illumination up to 5 m in front of the vehicle. If you need to travel long distances on roads where you only rarely encounter oncoming traffic, the best place to install extra lights might be the area vehicle’s two original headlights. Additional light may also be necessary at the back of the vehicle, in order to carry out loading operations in the dark. This product is suitable for logging or platform trucks, or vehicles with a load box. There are historical preferences for lighting brands that have emerged in every country. As a result, we do not assemble our products together with light sources in our factory. However, as light sources are increasingly integrated into products to achieve better visual and aerodynamic effects, we have good partnerships with various lighting manufacturers. That is also why we stock a range of well-priced, high-quality lighting solutions in our range. 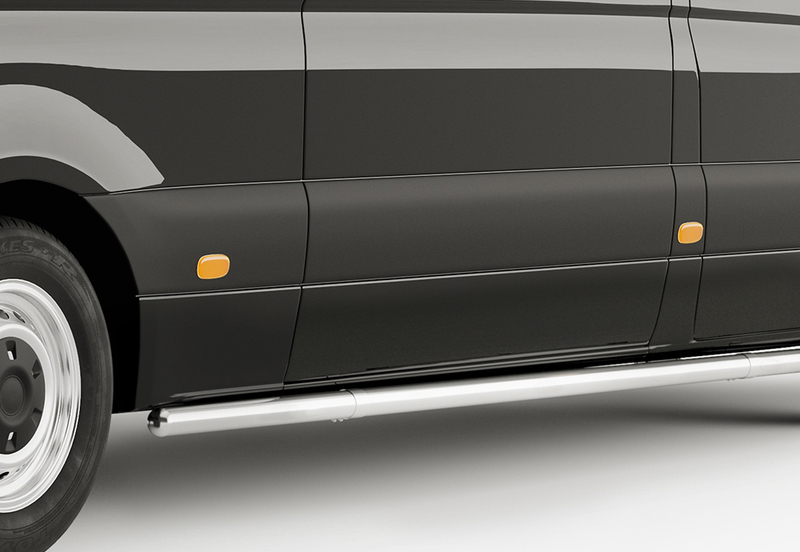 The undercarriage (as well as the cabin interior) of many vehicles can be raised quite high to provide better clearance. However, both people and goods need to be able to enter the vehicle. The major height difference may cause problems for the elderly, people with mobility disabilities, or operators of heavy goods transport vehicles. In particular, in bad weather conditions (rain, ice), there is a serious risk of slipping and suffering various injuries when entering or exiting the vehicle. However, even under ordinary circumstances, climbing into an elevated cab on a daily basis can lead to chronic pain in the spine and joints in the future. 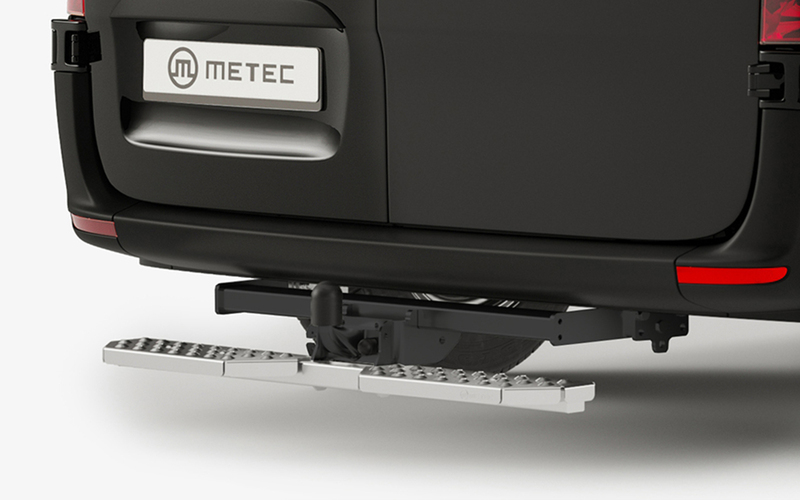 Metec’s product range includes an increasingly large number of products that ease vehicle access and reduce the risk of injury and chronic conditions. 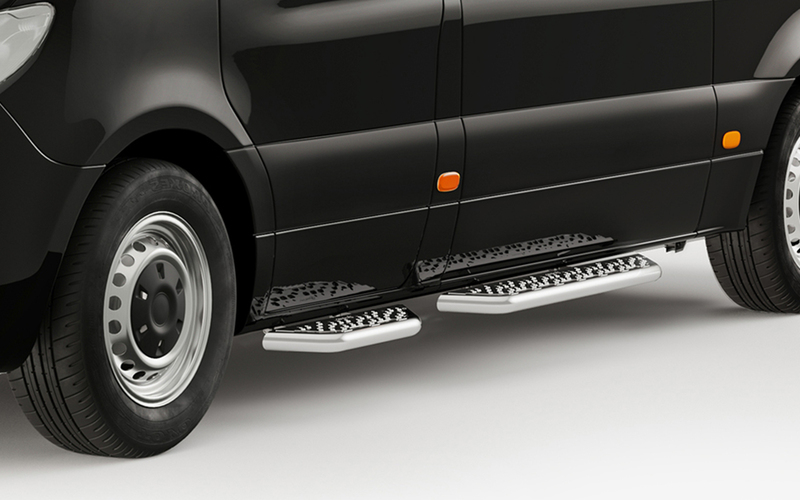 Installation height between the ground level and vehicle floor is adjustable. 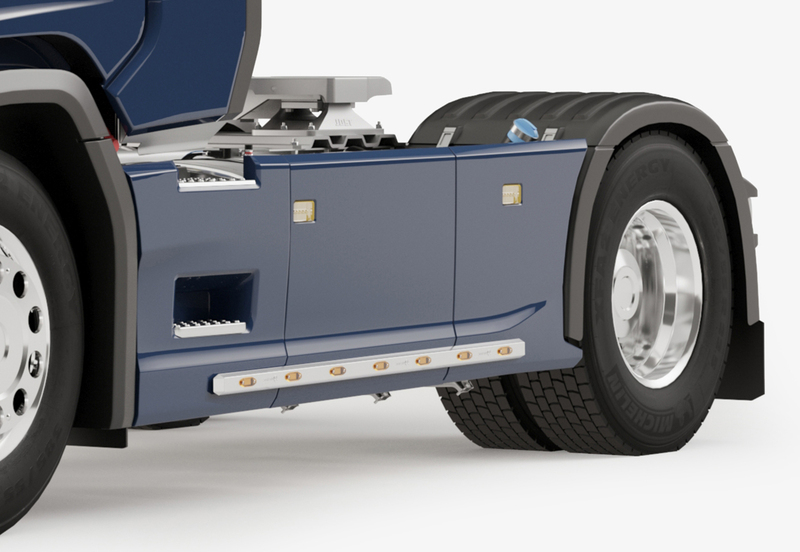 The range includes narrower and wider boards, and one- and two-foot steps that are suitable for installation on all 2- or 4-bolt flange ball-type tow bars, regardless of the producer. Does not impede trailer attachment. The range includes narrower and wider boards, and one- and two-foot steps that are supplied with a model-based installation kit. 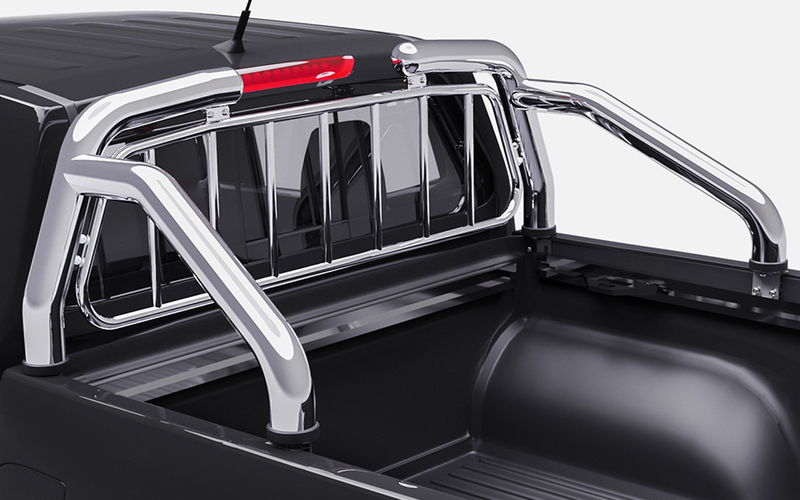 We manufacture 3 standard-sized stainless steel running boards. 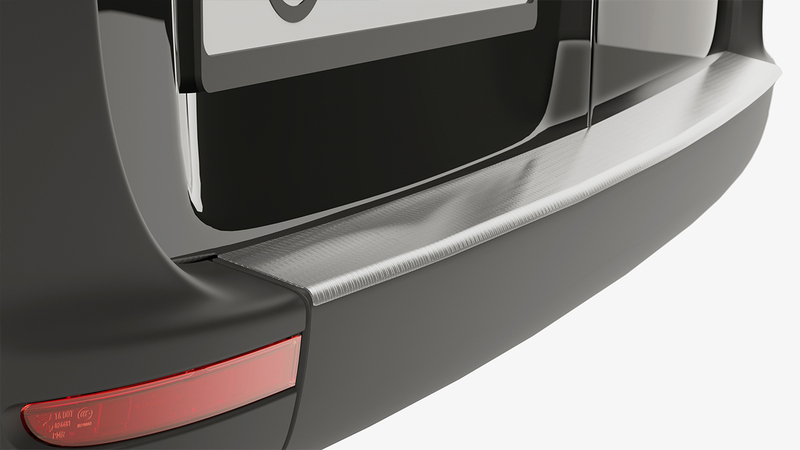 With the model-based fastenings, the boards can be combined for either the front or both doors, and for one or both sides of the car. Strong, 76-mm stainless steel pipe steps that can fit the entire foot. 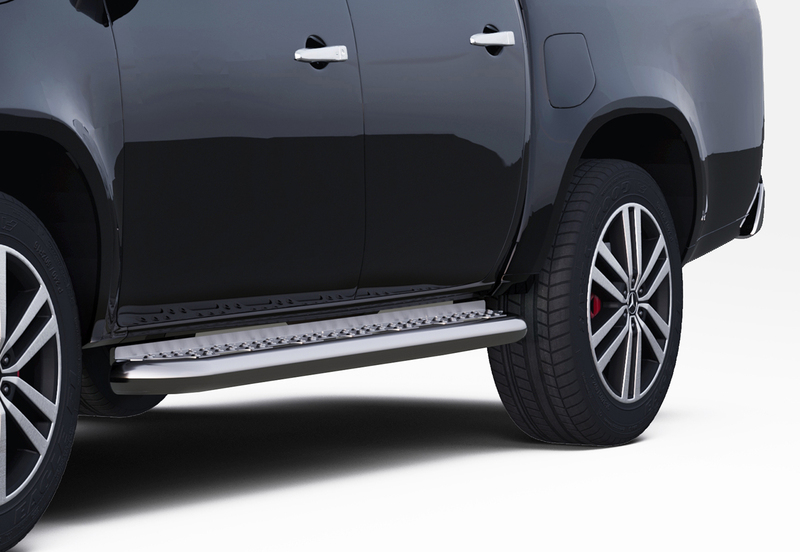 With the firmly and rigidly attached running board, an adult man can find a sufficiently secure hold to remain in place even when the vehicle is moving at low speed. When purchasing a vehicle, none of us can foresee who, what, and under what conditions we would want to move from one point to another in the future. Instead of buying or renting a new vehicle for a new and unexpected task, a good alternative is to extend your vehicle’s usefulness through the installation of accessories. 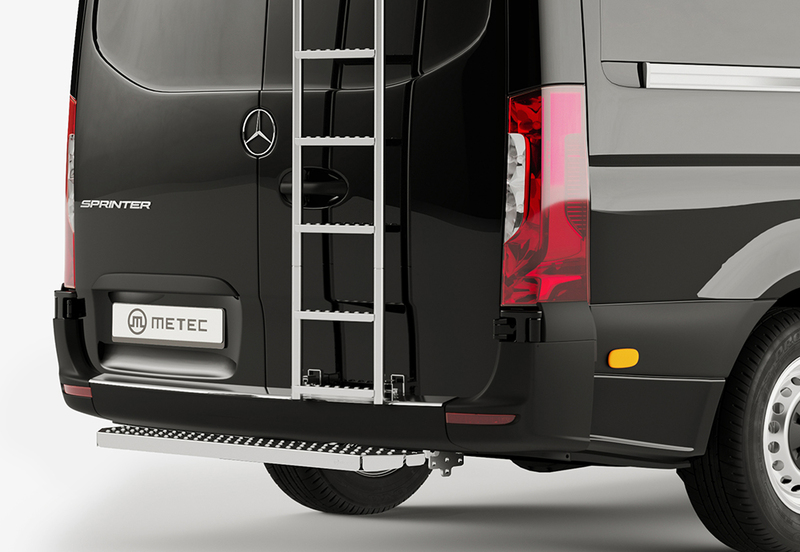 Metec has developed a variety of accessories that can help expand your vehicle’s utility, including transporting various goods on or with your vehicle, and carrying out a range of tasks with or around the vehicle. Installation is quick. In simple cases, it can be done in 5 minutes, while even for more complex cases, installation should take no more than 1 hour. We are one of the few manufacturers that use corrosion-resistant stainless steel. We also differentiate ourselves from the competition with our slip-resistant product and the quick mounting of our ladders. 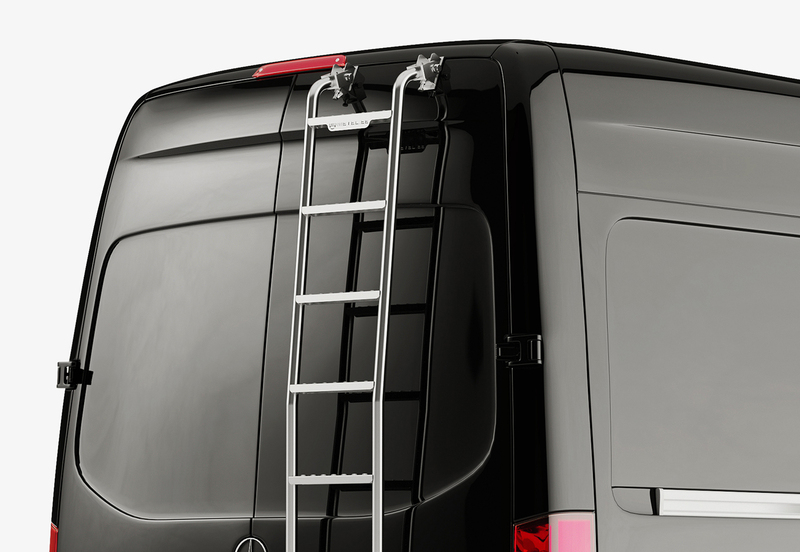 Additional accessories for goods transport or to carry out work can be attached to the side of the ladder. The stainless steel-profile ski rack can be quickly attached to a ladder using a quick-release system. The racks can store up to 8 snowboards and/or pairs of alpine skis. Loading and removing skis from the rack is quick and is therefore suitable for transport over short distances, such as between a hotel and the ski lift. The stainless steel-profile workbench can be quickly attached to a ladder using a quick-release system. The stable workbench, which is located outside the vehicle cabin, may prove necessary when handling details or materials of a larger size that cannot be worked on inside the vehicle, such as longer pipes or similar materials. 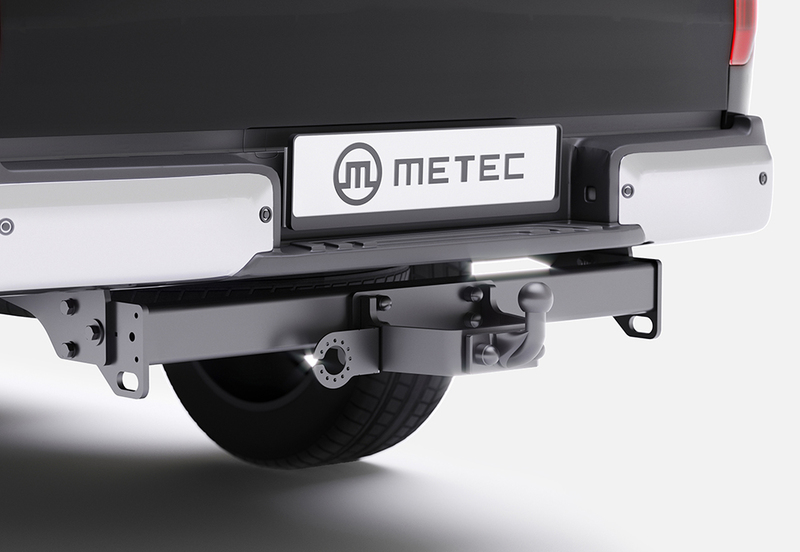 Metec is launching this new product range for van-type vehicles in the first half of 2019. Although there are many competitors and solutions already on the market, we hope to offer our customers something new and unique. One distinguishing feature will be the use of stainless steel as the main structural material, due to its extreme durability and weatherproof nature. 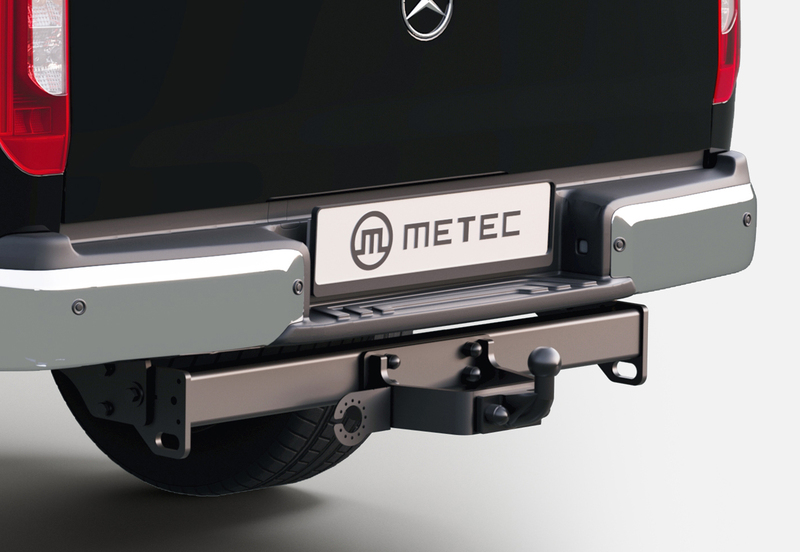 Metec develops and manufactures flange ball-type tow bars and hooks for all pickup- and van-type vehicles (and for other vehicles, if there is a sufficient production volume). All hooks have proper e-type approval. Flange ball-type hooks are attached to the base frame using either 2 or 4 bolts. Our base frame structures are highly optimized and do not use excess material, meaning that their production and sales costs are lower. In addition, our hooks have better corrosion resistance and a better finish than many of our competitors. We also provide all essential electrical connection sets. Our range includes universal kits for both 12 and 24V systems. 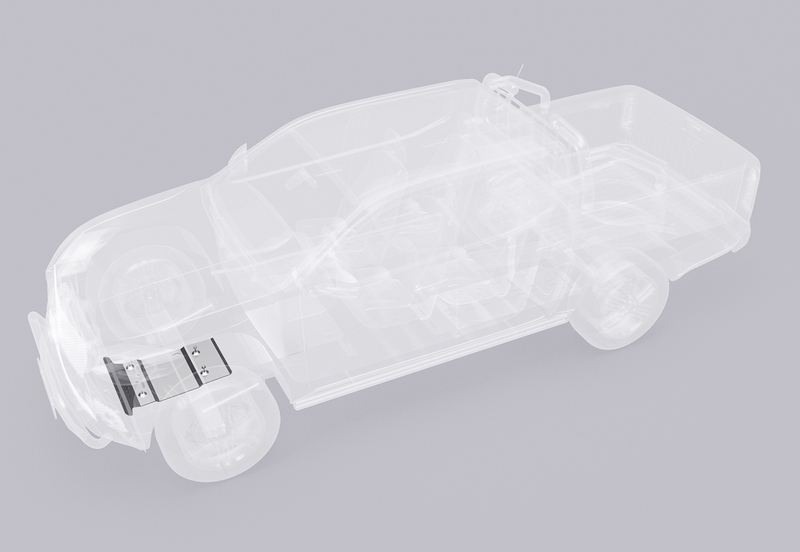 For some vehicles, we offer model-based kits that will take less time to connect to the vehicle’s electrical system. 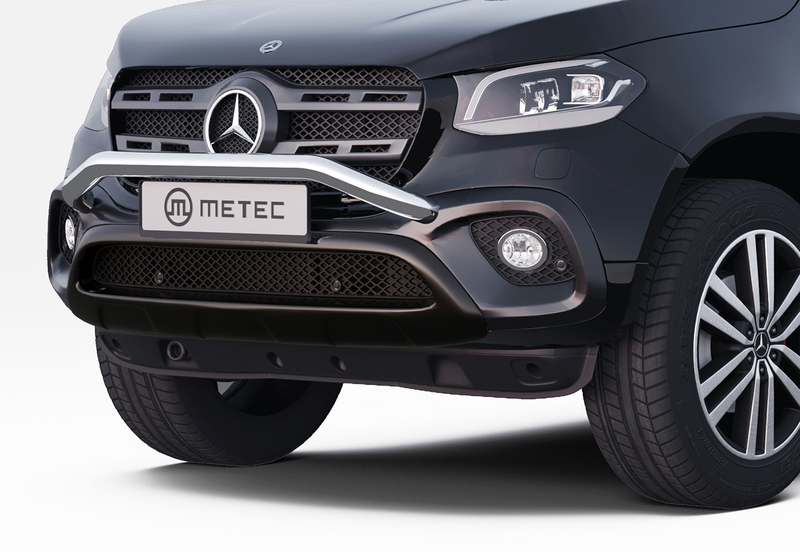 Metec manufactures diagonal and V-type snowploughs for pickup-type vehicles that can be used to provide public services. The advantage that Metec ploughs have is their low weight, quick mounting, quick-release system for attachment to the vehicle, and the wireless plough control located in the vehicle cabin. Everyone who has been involved in some sort of vehicle collision knows how expensive vehicle repairs can be. Even removing small dents can cost a quarter to a third of the vehicle’s value. Admittedly, most of this is paid by the insurance company. However, the vehicle owner is still left to pay the excess. In addition, your vehicle will be in the repair shop for a long time, and during this time, you will need to find a replacement vehicle. This can also incur additional costs. And depending on who was responsible for the accident, any insurance claim can make your vehicle insurance more expensive in the following period. Therefore, it may be advisable to mount additional protective elements for those vehicle body parts that are more at risk of damage. 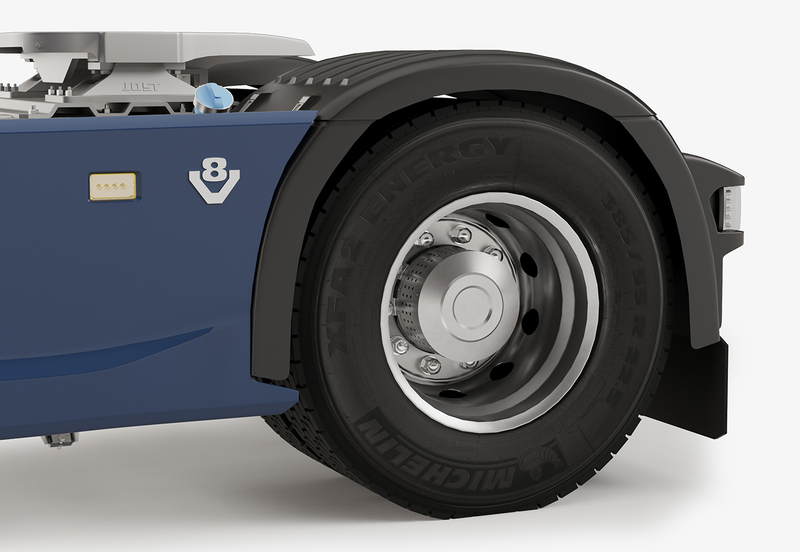 Metec designs products that absorb some of the impact energy and reduce or prevent damage to your vehicle. In the event of a smaller collision, all that is needed is to replace the protective element that has been damaged (has fulfilled its task), meaning you can avoid replacing the more expensive original car parts and limiting work only to the cheaper repairs to the paintwork. 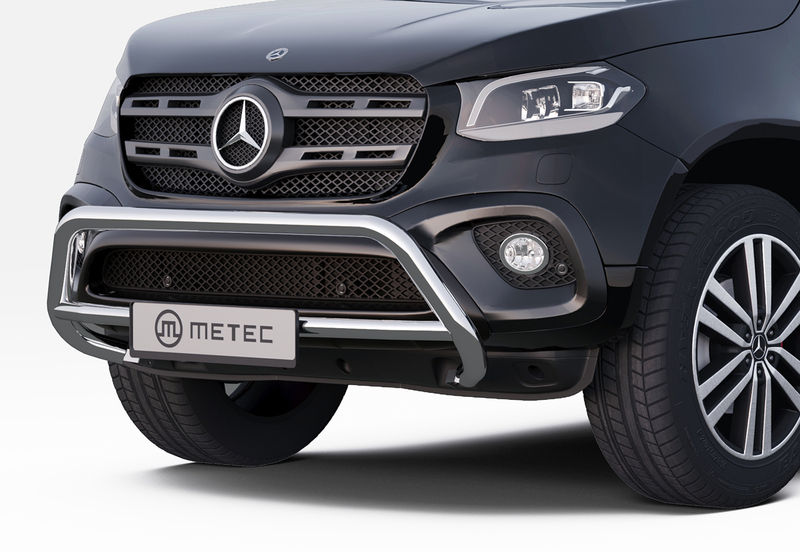 Metec’s front bars are differentiated from many of their competitors’ products through their stable and sturdier mounting on the vehicle body structure. The product mounting time may therefore be a bit longer, but secure mounting prevents vibrations that in the long run can damage other parts of your vehicle, and simultaneously provides a stable base to attach extra lights. 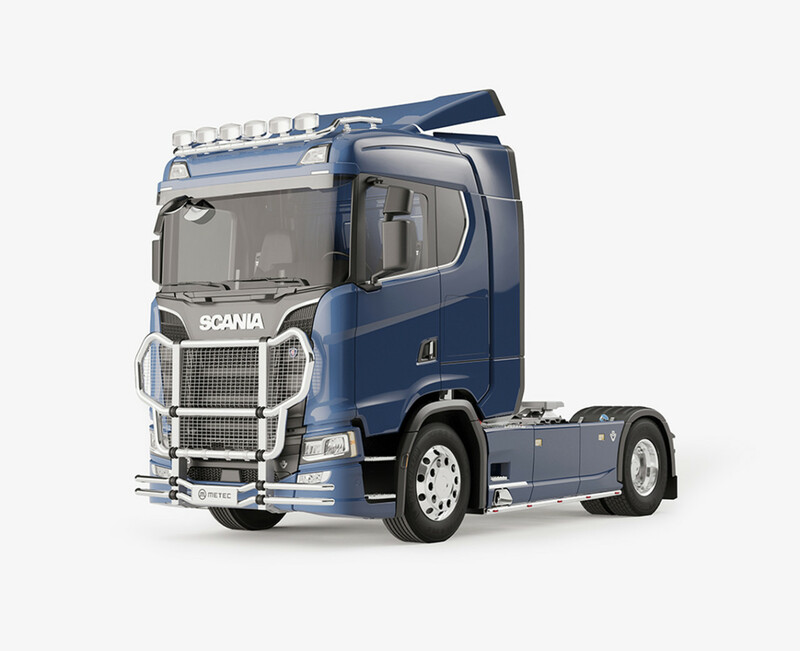 In most EU countries, the legislature has set technical requirements for additional structures attached to the front of vehicles with a gross weight of less than 3,5 tonnes. The purpose of the regulation is to reduce the risk of injury in the case of a collision between a vehicle and pedestrian. All Metec Euro bars undergo dynamic tests on test models that ensure that deformation remains below the permissible values. To achieve this, Metec uses a different solution to that of its competitors, at the core of which are patented energy-absorbing fasteners. Under typical conditions, this element is sturdy enough to ensure stable mounting. When impacted from a particular direction, however, it absorbs the impact energy and thereby reduces the damage on both sides of the collision. In certain places, including EU states, there is controversy over whether the emphasis should be on limiting the consequences of an accident or instead on avoiding them altogether. Based on this reasoning, there should be as much lighting on roads as possible so that drivers can react in a timely manner. As such, in areas where drivers often need to navigate in darkness or low-visibility conditions, structures are used that allow the mounting of extra lights. Many road users need to travel through areas with bad or even non-existent roads in their professional and personal lives, and in such conditions, it is important to have additional protection for your vehicle body, to limit the amount of damage to your vehicle in the case of an unexpected collision so that it is not immobilized. Strong and lightweight aluminium protection for your engine and other parts underneath your vehicle. Essential for everyone travelling off-road or on uneven roads so that your vehicle is not immobilised in the event of an unexpected impact. 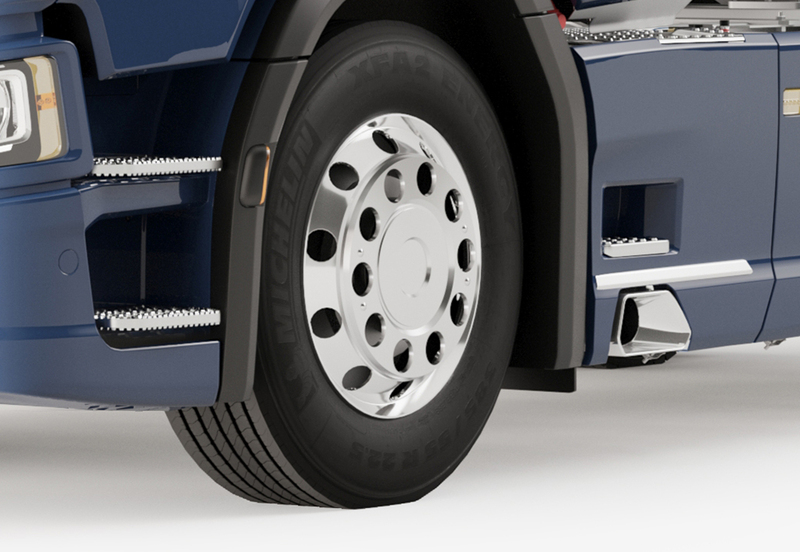 Products made from stainless steel piping protect your bumper from failure due to impacts with kerbs, snowdrifts, or other obstacles on the road. 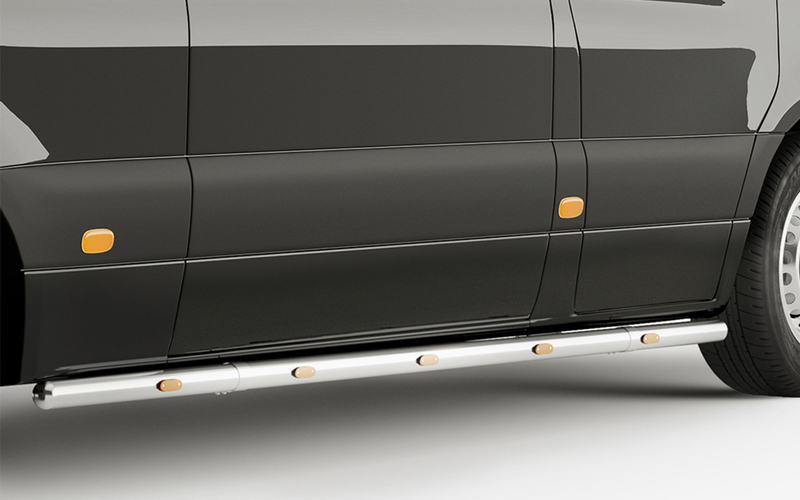 It is also possible to integrate LED daytime running lights into the bumper protection. Truck drivers often need to visit relatively unpopulated areas with a contrasting abundance of creatures that prefer to live singly or in herds and which do not know much about traffic codes or dangers. If you age suddenly faced with a “large obstacle” weighing more than a ton, or instead with dozens of smaller obstacles, you should think about preserving your life and your vehicle’s continued mobility. 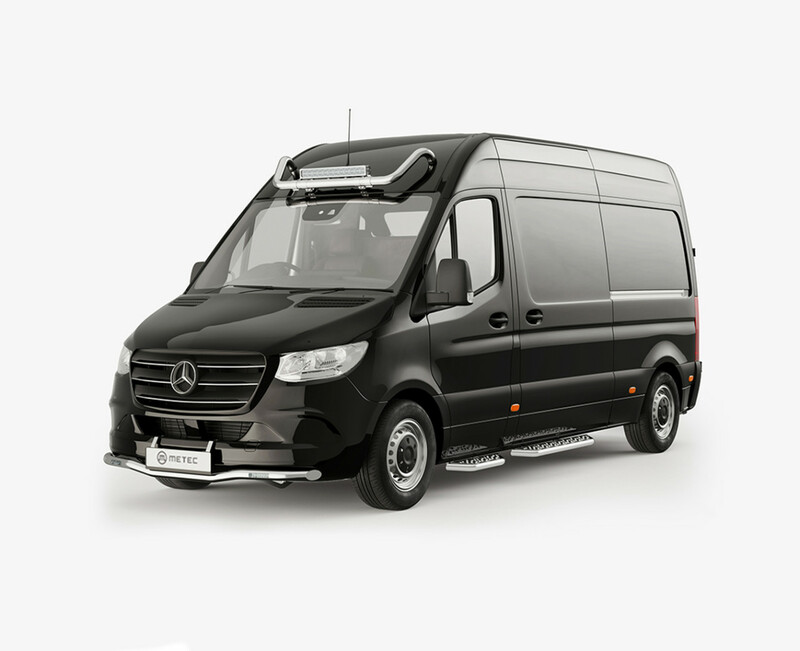 Larger protective structures are specifically designed to protect the vehicle’s assemblies against such unexpected and unavoidable encounters, and also help to reduce the financial damage that your vehicle might suffer. 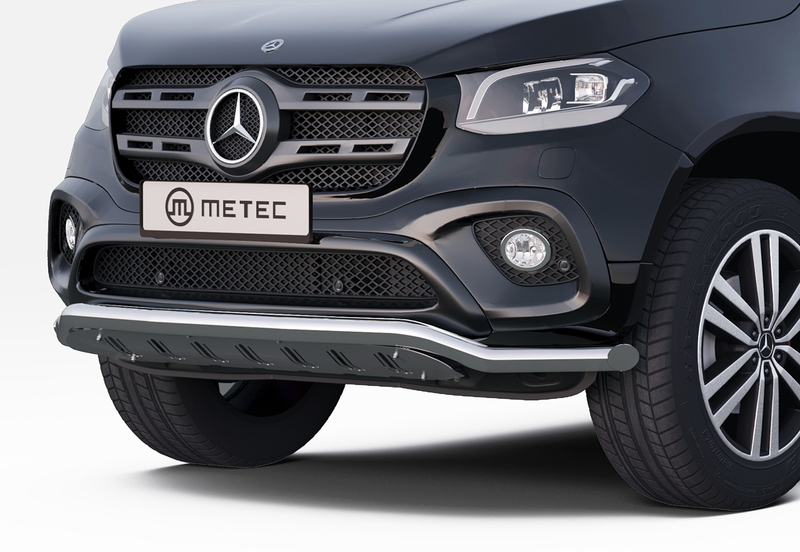 The individual parts of Metec’s front protective bars can be replaced if damaged, making it far cheaper than replacing the entire structure. Stainless steel sidebars dissipate the energy from smaller side impacts. Available for all car types—4x4s, vans, and trucks. 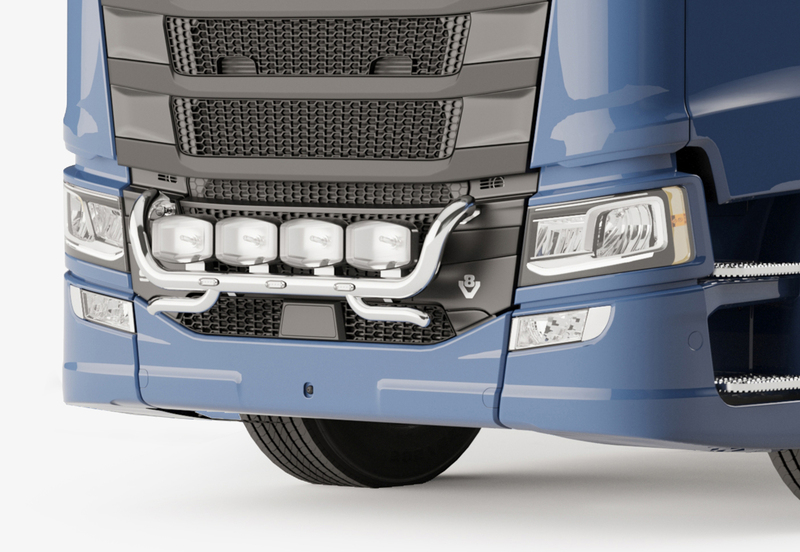 It is possible to integrate lamps into the pipes, making your vehicle more visible to road users approaching from the side. 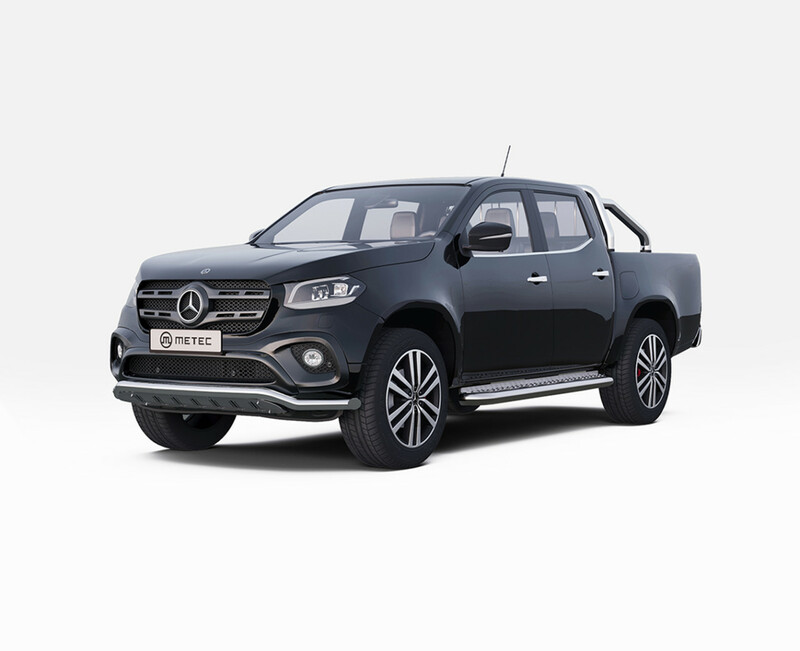 Pickup-type vehicles often need to transport goods that are longer than the car’s cargo area. 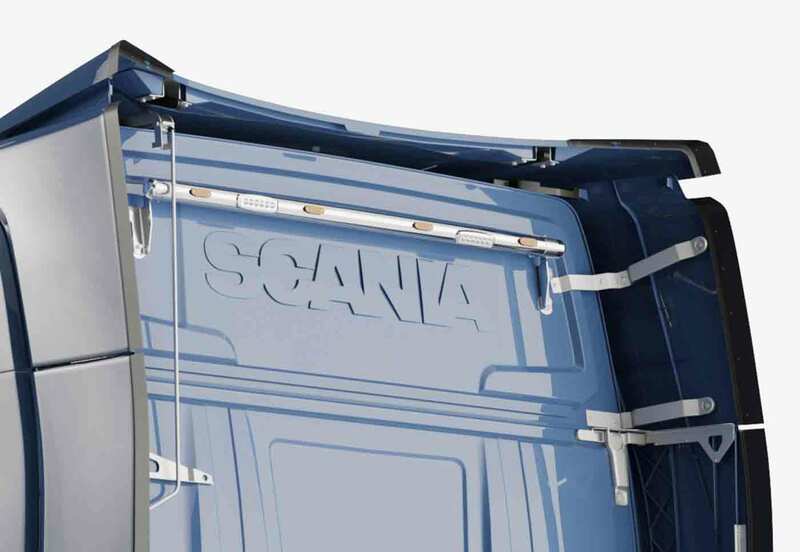 Typically, these goods are supported on the edge of the vehicle’s tailgate, or the tailgate is opened and lowered during transport. 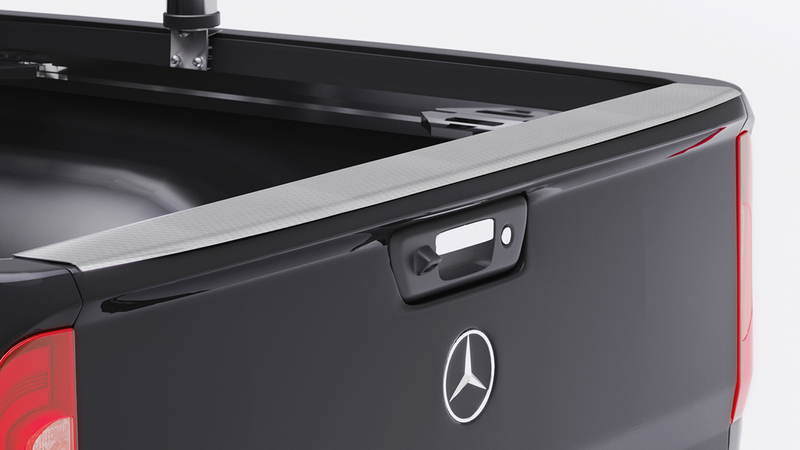 In both cases, the tailgate is subjected to loads that the vehicle’s designers did not initially consider. 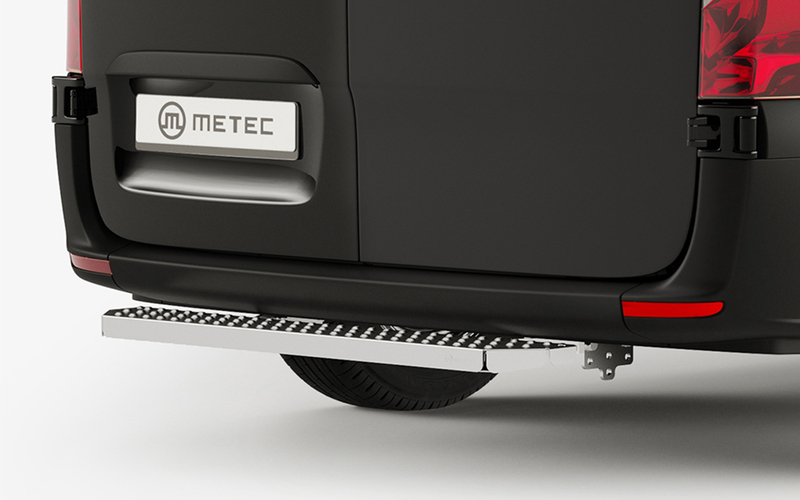 For these situations, Metec has developed a stainless steel protective cover that, upon installation, doubles the thickness of the tailgate’s materials and which provides you with a wear-resistant surface that you can drag various goods across if they are too heavy to lift. All visible surfaces are polished to a high gloss. 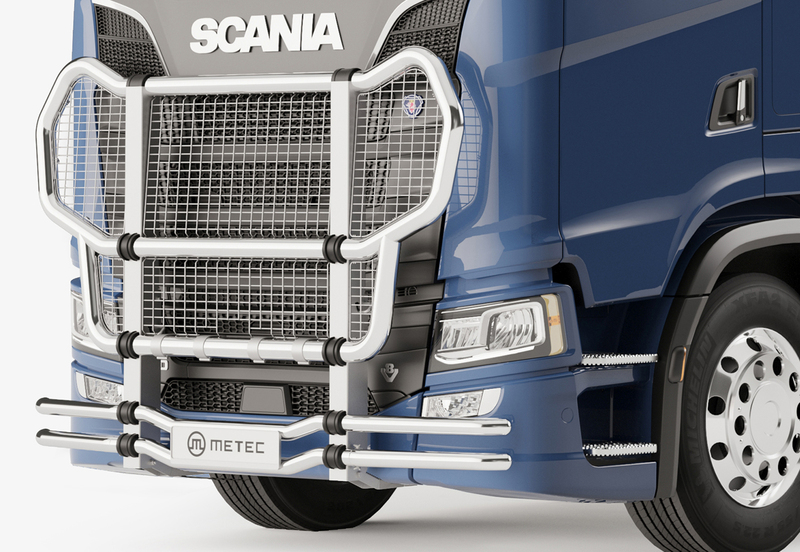 Metec’s wheel covers can be distinguished from many of our competitors’ products through the material and higher-quality performance. Covers are available for different rim diameters and heights, as well as different wheel bolts. The customer’s logo may also be stamped or otherwise embossed in the centre of the cover. If there is sufficient production demand, we can manufacture wheel covers in various sizes and shapes. The fastenings for Metec’s bolt ring cover discs are bolted directly to the disc, which prevents the disc from coming loose (most of our competitors use spot welding in the same place, making the risk of failure under various conditions much greater than when bolted). The disc and fastening materials are sufficiently thick and strong to ensure the long life of the disc. Rear axle covers are manufactured in different sizes depending on how much the axle extends from the centre of the rim. The pattern on the side of the disc can be changed according to the client’s wishes. We have the tools and technology required to manufacture stainless steel, high-gloss wheel nut covers. 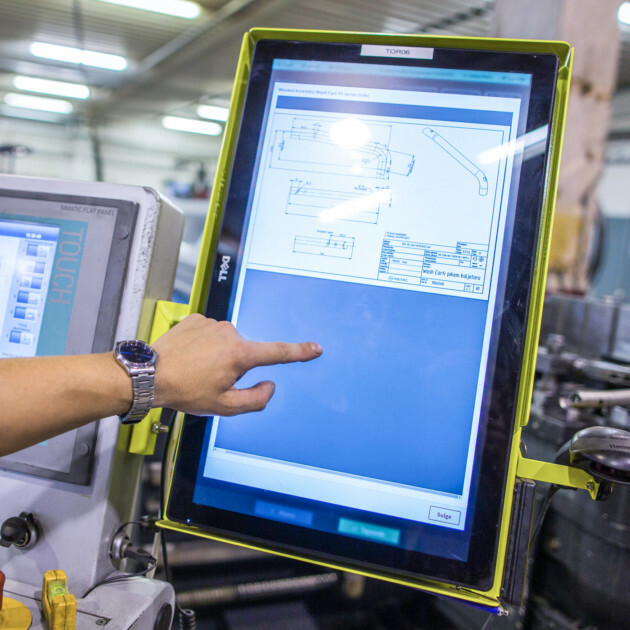 If your estimated requirement is 10,000 or more pieces per year, ask for a quote. In addition to our main products, our product range also contains several other items that you can use to make your vehicle or optional vehicle accessory even more useful or attractive for you. Should you have 3 or 8, round or square, large or small lamps? Every customer has a justifiable opinion about which combination will best meet their needs. In order to allow the quick and sturdy integration of all types of lighting sources to the product, Metec has developed a complete family of mounting elements. The same accessories can successfully be used to attach all other possible elements. Unlike many of our competitors’ products, Metec clips come in one piece (pre-mounting) which means that installing extra lighting or other elements is made easier (you do not need to work out how to simultaneously hold many loose parts in your hands all at the same time). If you want to personalise every last detail of you vehicle, you can find stainless steel number plate holders in our product range as well. These are supplied with a plastic number plate base as well. 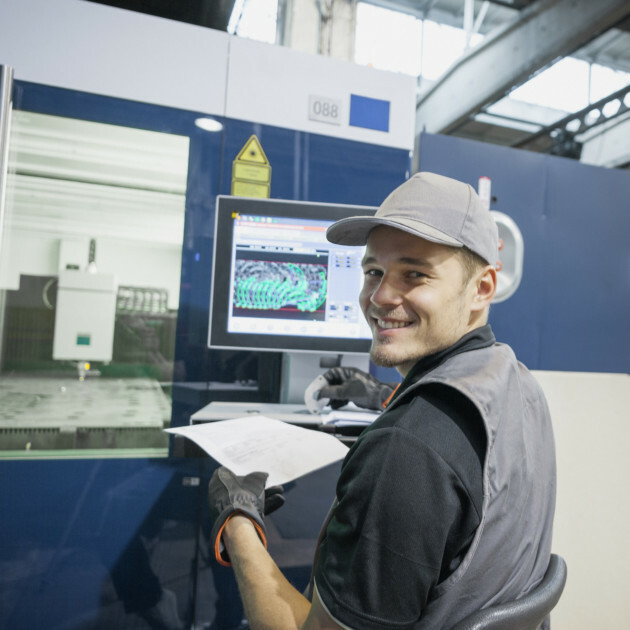 For larger orders, it is possible to include the client’s logo or other important text by using laser cutting or engraving. On occasion, a truck needs to travel around without a trailer. Drivers know what the saddle area looks like without a trailer. However, if you would like to take your partner to the cinema, or attend a truck festival with your colleagues, it might be good to enhance every little detail. Place an attractive stainless steel cover over the saddle, and instead of an oily piece of iron, you have a lovely table that can hold a vase of flowers and some champagne glasses!